We've thoroughly reviewed Joy Casino and gave it a good reputation rating. It's generally a good casino to play at, but there are some things worth noting. In our review, we've considered the casino's player complaints, estimated revenues, license, games genuineness, customer support quality, fairness of terms and conditions, withdrawal and win limits, and other factors. Because Joy Casino is related to other online casinos listed below, its rating is also influenced by them. Read the full review below and learn more about this casino. According to our research and estimates, Joy Casino is a medium-sized online casino revenue-wise. It's a part of a group of related casinos, however, this group is still only medium-sized even when evaluated as a whole. The revenue of a casino is an important factor, as bigger casinos shouldn't have any issues paying out big wins, while smaller casinos could potentially struggle if you manage to win really big. We currently have 4 complaints directly about this casino in our database, as well as 1 complaints about other casinos related to it. Because of these complaints, we've given this casino 2,650 black points in total, out of which 1,368 come from related casinos. You can find more information about all of the complaints and black points below. Joy Casino is a good online casino. We've given it this rating because we think it's doing many things well, however, there is something holding it back from getting a very good or perfect reputation rating from us. Even despite that, you can expect this casino to be a good place to play at. We have conducted extensive research on the web and as a result we have found following 5 complaints on Joy Casino or any brands that might be interconnected with it. Taking into account seriousness and credibility of these complaints and estimated size of casino revenues we decided to give Joy Casino a Very Good reputation. The player was accused of breaking the bonus terms and conditions. Magnus won SEK31,000, completed the wagering requirements, got his account verified and requested a withdrawal. On the following day, he was denied of his winning due to broken bonus terms and conditions. Magnus knew he didn't make a mistake and requested to communicate with someone else then his ex-partner, Sandra, who happened to work for the casino. Johanna took over the case, but that didn't change the casino's mind and they started their investigation. The casino never updated the player on the case and it remained unresolved. We're not sure whether the player received the winning or not. The player experienced a technical glitch. Biba made a deposit of RUB 25,000 and while she played a game called Phoenix sun, she experienced a technical glitch and she didn't get the winning from that game. All she asked the casino for was to return her deposit because somehow they would just tell her to write an email to the technical department. And when she did so, she was instructed to delete cookies and when Biba did so, it wouldn't help at all and the game kept on going into the error mode. There is no further information on the case and it remains unresolved. The player's deposit never arrived at her casino account. The player made a deposit but the money never arrived at her player's account. She was able to provide proof from her bank account. There is no further information available. The player's account was hacked. Dmitry contacted the casino via chat because he felt that his account was being hacked. He also changed his password to his account and the chat representative helped him to close the account until further investigation was done. A few days later, he received an answer from the casino where they told him he couldn't be helped to get his deposits back because he was the one responsible for his account security when it comes to sharing his password with third parties. There is no further information and the case remained unresolved. Account blocked, all funds seized for a player from Crimea. 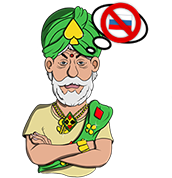 A player from Crimea complained the casino blocked his account and cancelled his winnings stating he was from a restricted territory. The casino said they followed the laws of Ukraine, the player said he followed rules of Russia. When the player registered some years ago there were no issues with him playing and depositing. Casino stated the player was banned because he used a VPN, but the player said it wouldn't be possible to play in the casino without it as the page is not accessible from Russia. However, Crimea is in Ukraine and the casino said that if he had played from Ukraine IP address he would have been blocked directly as it was a restricted territory. The player said the casino allows the use of VPN in their rules. The player asked for his deposit to be returned but the casino replied there was nothing to return as his overall winnings were bigger than the deposits. A complicated dispute, no reasonable solution was found, the casino ignored all the reasonable proofs.